We came here with the fix for Apple Watch Activity App not Appears on iPhone. 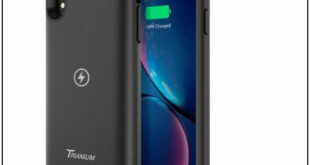 The tech giant Apple is a popular brand to add something new in its devices software updates. Same thing we have seen in iOS 9.3, Apple watch has built-in Activity app that tracks Move, exercise, and Stand motion of user’s body and this all activates Apple Watch displays on the Activity app glance. in iOS 9.2, the users were only could see the WatchOS activity app data on his/her Apple Watch. 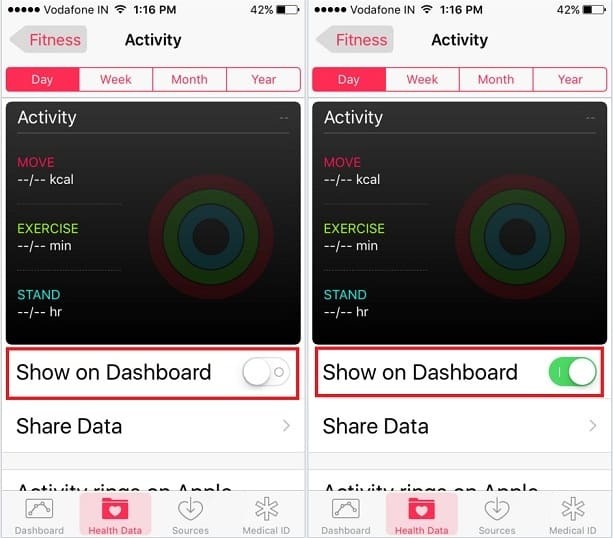 Even now, the Apple has added Watch Activity app UI into the iOS 9.3 health app. 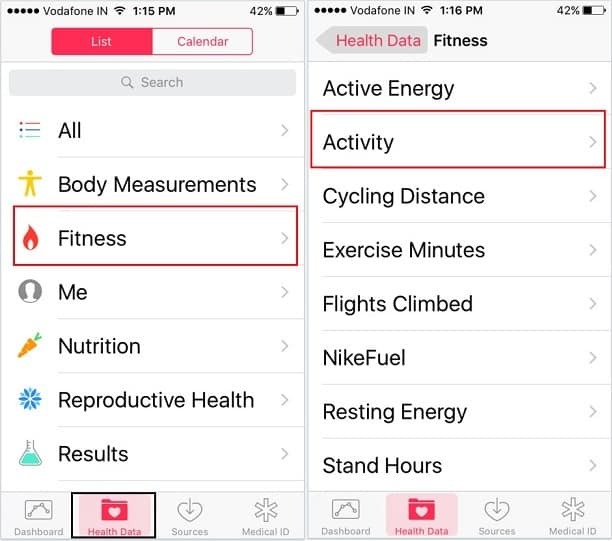 Therefore, Activity App data and measurements are automatically included in the Health app breakdown, since Apple Watch users can easily view entire day activities data on the iOS health app dashboard, too. So Activity rings on Apple watch give you a quick visual reference of your daily activity using three metrics. 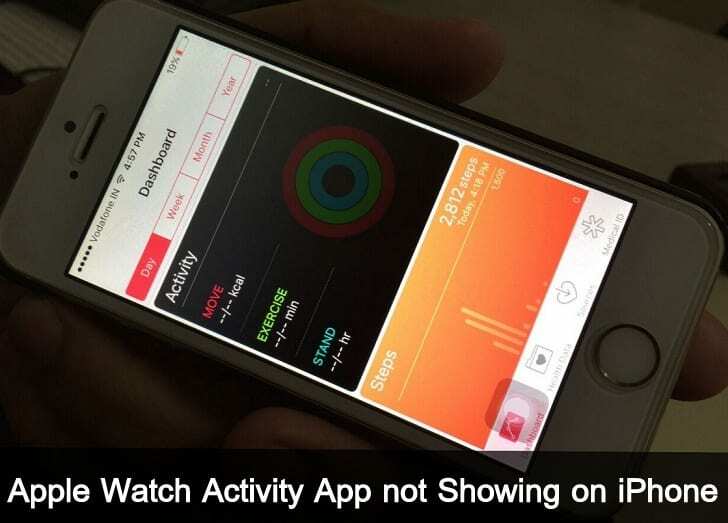 However, numerous iWatch users have shouted that the Apple Watch Activity app not appears on iPhone. For that, here we offer several actual troubleshooting, hope this would be worked great. Settings app → General → Software update. 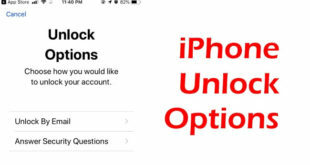 If your software is up to date then keep continues below steps, if not then upgrade iOS. Step 2. Tap on Health Data. Step 3. Press on Activity. Now tap on Dashboard tab and scroll down the screen you will see a black color theme Activity app data source. 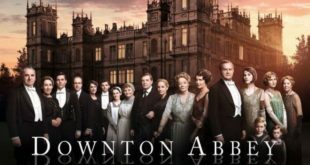 If your Apple Watch activity app won’t sync/showing on your iPhone, then try following potential clues. Press twice time home button and pull health app above side on the screen, then go on home screen. Lunch once again health app and check out Activity app data source. If an issue persists (Apple Watch Activity app not appears on iPhone) though try listed steps. Restart your iPhone and Restart Apple Watch. Please share you experience with us, any query relates Apple watch activity app not appears on iPhone/ Health app not showing iWatch activity data source.